Sadly we have to report the death of our retired Practice Administrator, Brenda Moffatt, who passed away after a short illness on the 13th of February. Many staff present & past joined me at her funeral service to pass our fond respects on her passing. It was lovely to catch up with friends and ex colleagues to reminisce about Brenda and pay our respects to her beloved family. Brenda retired from the practice 4 years ago having worked at the practice in its many incarnations, for nearly 40 years. Brenda was a brilliant support to Kate and myself when we first bought the practice from Martin Grace and was meticulous and organised in all of her book keeping and accounts that she kept for the surgery. Her professionalism and attention to detail were exemplary. But more than that she will always be remembered by all who knew her as a wonderful character and loyal friend. 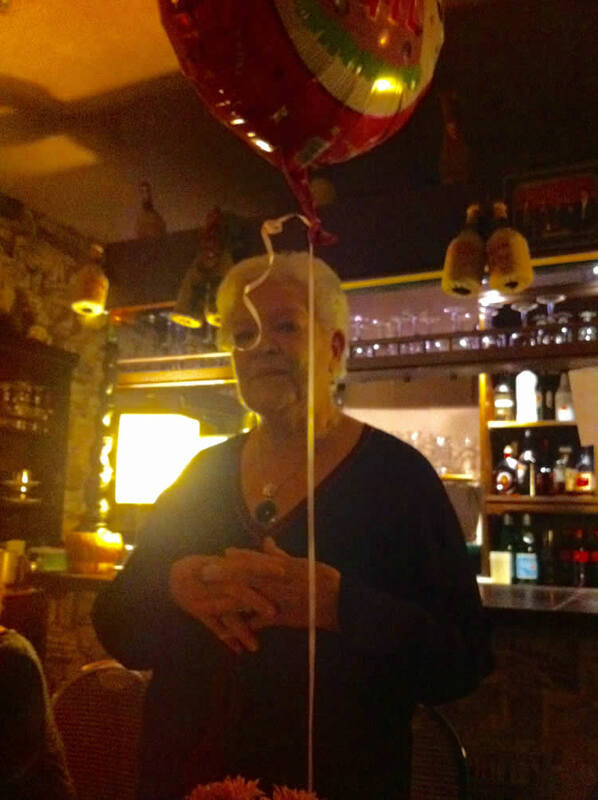 She was the heart and soul of any meeting or social gathering. She brightened the lives of generations of staff who worked alongside her. She always loved her pets especially her beloved German Shepherd Dogs and at her posthumous request, the practice was pleased to made a donation to The Dog’s Trust. Her old boss, Martin Grace, wrote a eulogy for her when he learned that she had died and I think it sums her up perfectly. “I first met Brenda in 1978, when I joined the veterinary practice where she was employed as secretary. Our association lasted over a quarter of a century, passing through various changes of regime to me ultimately becoming her sole employer. Brenda was a larger-than-life, life-and-soul-of-the-party character with a great sense of humour, but who did not suffer fools gladly.